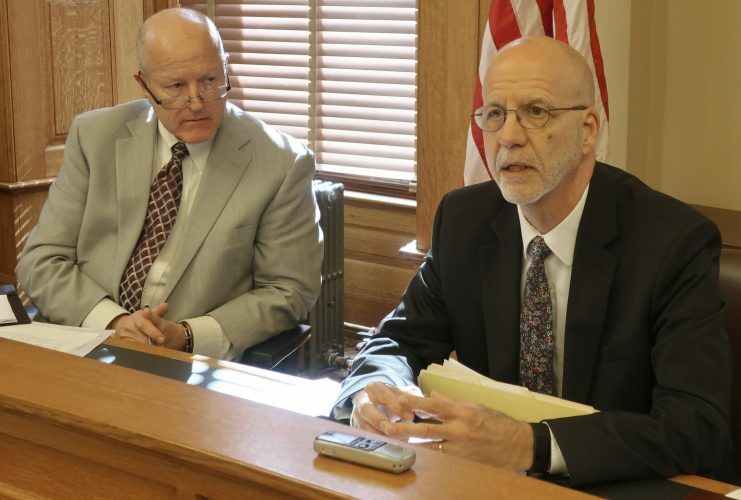 The Kansas Legislature has violated its constitutional duty to provide suitable funding for public schools, a three-judge panel ruled Friday. Gov. Sam Brownback warned that the decision could lead to “drastically” higher property taxes for Kansans. 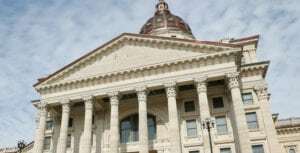 In a 326-page opinion, the judges, ruling in the case of Gannon vs. Kansas, effectively ordered the Legislature to fund public schools at $4,492 per pupil, about $600 higher per pupil than present funding levels. Dale Dennis, deputy education commissioner in charge of finance and administration, said complying with that part of the court’s ruling would cost $442 million per year. Kansas Attorney General Derek Schmidt said Friday the state will appeal the decision. “Today’s ruling has enormous consequences for the state of Kansas,” Schmidt said. Article 6, Section 6 of the Kansas Constitution requires the Legislature to make “suitable provision for the finance” of public education. The Kansas Supreme Court ruled in 2005 that the state must base education funding on actual costs of providing required educational services, but the Legislature has steadily cut school funding over the past few years. Today’s ruling echoes the Supreme Court decision. 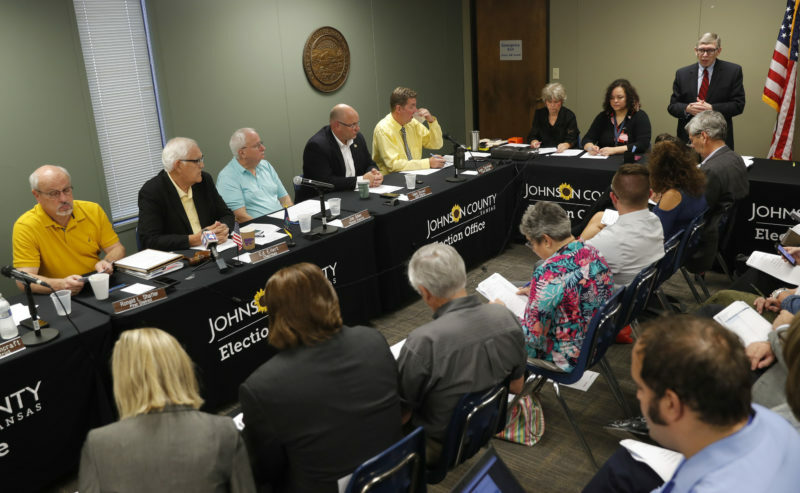 John Robb, lead attorney for Kansans for Fair Funding, the coalition of school districts that filed the lawsuit in 2010, hailed the decision as a victory for children. The court also said lawmakers have violated the constitution by refusing to fund “equalization” aid for capital outlay budgets — dollars that school districts spend on big-ticket purchases such as building repairs, equipment purchases and, in some cases, new construction. That’s money the state spends to subsidize capital outlay budgets of low-wealth districts so they don’t have to levy much higher property tax levies to raise the same amount of money as wealthier districts. As a result, the court declared the entire statute dealing with capital outlay budgets “unconstitutional and of no force and effect from and after July 1, 2013,” unless the legislature acts to fully fund the equalization aid. House Democratic Leader Paul Davis of Lawrence said he was “encouraged” by the panel’s decision, and said its opinion pointed out that “Gov. Brownback’s tax cuts for the wealthy and big corporations directly conflict with our constitutional duty to fund public schools.” Last May, Brownback signed into law cuts in the state income tax rate and elimination of income taxes paid by nearly 200,000 business owners. Davis said he hoped Brownback will focus on efforts to ensure that Kansas children receive a quality education and “not on punitive measures aimed at our courts.” Brownback supports measures that would give him more say in picking appellate judges. Senate Vice President Jeff King, R-Independence, said the panel’s ruling shows that “unelected courts” have disregarded the separation of powers between the three branches of government. 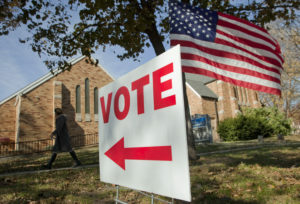 Friday’s opinion, written by Shawnee County District Judge Franklin Theis, reflects guidelines handed down by the Kansas Supreme Court in 2005 when it ruled in the case Montoy vs. Kansas that the Legislature has a constitutional duty to base funding on the actual cost of providing all the educational services required by law. Although the current funding law calls for base funding of schools at that level, Kansas lawmakers have not appropriated enough money to fund schools since the economic downturn began in 2008. Instead, lawmakers have appropriated smaller amounts of money in the state budget, resulting in pro-rated funding for schools. Currently, schools are receiving $3,838 per pupil — about 16 percent below the statutory requirement. “We believe that here in the case before us, the facts advanced, without any question whatsoever … demonstrate that the Kansas legislature, and, in some instances, perhaps, that of Kansas governors, in actions taken since the Montoy case concluded, have failed to follow the established judicial precedent of the Montoy case,” Theis wrote. After the Montoy case, Kansas lawmakers passed a multiyear school funding bill that phased in a series of funding increases through Fiscal Year 2009 and beyond. Under that law, base funding for education was supposed to have been $4,400 in the 2008-09 school year, and to $4,492 in 2009-10 and each year beyond that. But state revenues began to plummet in the fall of 2008 following the collapse of the financial industry. A series of “allotment” cuts were ordered, first by Democratic Gov. Mark Parkinson, and then by Brownback, a Republican. 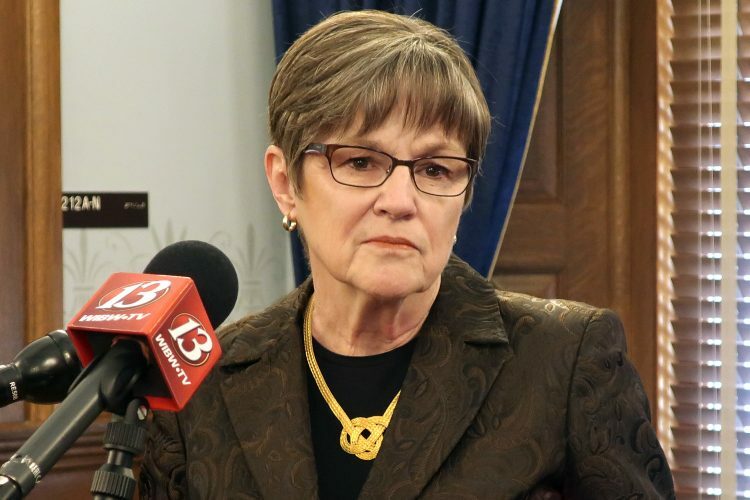 The legislature followed suit with a series of additional cuts, lowering the base aid formula to $3,870 in the 2011-12 school year. Last year, lawmakers added back $58 per pupil from the previous cuts, raising this year’s funding to $3,838. Also last year, lawmakers enacted a historic multibillion-dollar package of income tax cuts that are expected to take a big bite out of future state revenues. Supporters of the cuts are hopeful they will stimulate economic growth, but critics have said they will produce huge budget deficits in future years, resulting in further cuts to education funding. Plaintiffs in the Gannon case argued those cuts proved the state could have afforded to fully fund education, but chose tax cuts as a higher priority. In today’s opinion, the court agreed with that argument, although it took no judicial action to overturn the tax cuts. “It seems completely illogical that the state can argue that a reduction in education funding was necessitated by the downturn in the economy and the state’s diminishing resources and at the same time cut taxes further, thereby reducing the sources of revenue on the basis of a hope that doing so will create a boost to the state’s economy at some point in the future,” the court wrote.